The OSS recruited a couple of dozen anthropologists and several, many famous in their fields, were sent to Sri Lanka. Indeed, it appeared that Southeast Asia was a workshop for American anthropologists working for the OSS! 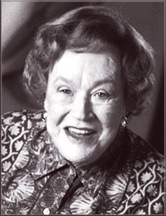 Among them was Julia Child's friend and head of the Research and Analysis wing, Cora DuBois, who had a PhD in Anthropology from Berkeley and had researched the American Indian Ghost Dance religion. In 1938 she went to Alor, a small island in the Dutch East Indies (now Indonesia), where she lived alone in a remote highland village, learning the language and studying the islanders. In 1944 she published an acclaimed anthropological study, 'The people of Alor'. After the war, she received the Order of the Crown of Thailand for her participation in the Free Thai movement. She continued working for the State Department. She later joined the faculty at Harvard, the first woman tenured in the Anthropology Department and the second Zimurray Professor of Anthropology. She conducted research on the temple city of Bhubaneswar in India and later became president of the American Anthropological Association. Another anthropologist colleague was Jane Foster of 'Morale Operations' (black propaganda - nowadays known as 'psyops'), who had been born to a wealthy family in San Francisco and had spent some time in Bali. A former Communist, she did her Master's thesis on the Batu islands. She was to be the first American agent in the Dutch East Indies following the Japanese capitulation. She was later to be accused of spying for the Soviet Union during the 'Red Scare' of the 1950s and Julia and Paul Child were deeply affected by the imbroglio, being themselves dragged into the investigations. One of the people who travelled to Sri Lanka from Washington with Julia was the eminent British anthropologist Gregory Bateson, who in fact later introduced her to Paul Child. He was the son of the pioneering geneticist William Bateson - who had translated Gregor Mendel's work on heredity into English and invented the term 'genetics'. The senior Bateson's acolytes Willey, Lock, Punnett, Dobell and Fryer had congregated in Sri Lanka three decades earlier, making it the temporary location of a cutting-edge bio-science powerhouse. Bateson, married at the time to the famous anthropologist Margaret Mead, was a Malay-speaking Cambridge fellow who had studied ethnography in the Pacific, New Guinea and Bali. He served the OSS in Burma's Arakan Mountains and went deep into Thailand to attempt the rescue of OSS agents caught by the Japanese. As part of 'Morale Operations', Bateson worked on a phoney 'Japanese' radio station, a 'black op' designed to undermine Japanese propaganda. He also submitted a recommendation on the post-war colonial situation in the SEAC area, based on the experience of the Soviet Union with tribal peoples in Siberia, suggesting the co-optation of culture, especially pop-cultural trends, to control the direction of indigenous social and political movements. In this he prefigured - there is evidence that he contributed to - the psychological warfare and culture-cracking methods of manipulation used by the CIA in Vietnam and the Philippines. He also suggested to Donovan the creation of a specialised agency to carry out unconventional, indirect warfare in the post-war nuclear world, using clandestine operations, economic controls and psychological pressures. This agency was to be the CIA - although Donovan, rather than Bateson is considered to be its father. After the war Bateson developed theories related to cybernetics, evolution and psychiatry. He continued his peripheral connections to the intelligence community and was involved in the CIA's thought control experiments. He, notoriously, introduced the 'Beat Poet' Allen Ginsburg to the hallucinogen LSD, part of the CIA experimental programme with the psychedelic narcotic. Julia's room-mate was Mary Livingston, who met her own future husband, the ornithologist S Dillon Ripley while working at detachment 404. Julia had been met by Ripley, head of the Secret Intelligence Division, when she first arrived in Colombo. Sidney Dillon Ripley, born in New York, was taken as a child to India and Tibet and he developed an abiding interest in South Asia. He went to Yale, where he graduated in arts and went on to study Zoology at Columbia. While there he was invited on two museum expeditions: the Denison-Crockett Expedition to New Guinea and the Vanderbilt Expedition to Sumatra. In 1943 he received his PhD from Harvard, joining the OSS payroll the same year. After the war, Ripley taught at Yale and became director of the Peabody Museum of Natural History. He served on the US board of the World Wildlife Fund and was president of the International Council for Bird Preservation. He later served as Secretary of the Smithsonian Institution during the period of its greatest expansion. Ripley is remembered for the Smithsonian's two-volume definitive guide to the birds of South Asia, which had been his brainchild. The authors, his former assistant, Pamela C Rasmussen and the artist John C Anderton, named 'Birds of South Asia: the Ripley Guide' for him. An article in the New Yorker magazine in 1950 said that in the OSS Ripley reversed the pattern in which spies pose as ornithologists, instead using his position to go birding in restricted areas. Such was his dedication to ornithology that, when he saw a bird he wished to collect through the cracks, while taking a shower in Kandy, he wrapped a towel around himself and rushed out to shoot the bird. At that moment Lord Mountbatten, with several officers of both sexes, came round the corner as his towel fell off. However, he didn't lose the bird. In 1945 alone, Ripley sent to the Smithsonian Institution 354 bird skins and one bird skeleton. However, he was beaten for sheer volume by his colleague, HG Deignan, who sent back 143 bird skins, six bird skeletons, 236 shells and barnacles - as well as numerous mammal, reptile, insect, snail and worm specimens. Herbert Girton Deignan read English Literature at Princeton - where he also pursued his ornithological and zoological interests. On graduation he went to Thailand, where he was an English master at the Prince Royal's College, Chiang Mai and collected bird specimens which he sent back to Princeton. Returning to the USA, he worked at the National Museum of Natural History (USNM) and at the Library of Congress (where he helped update the catalogues on Sanskrit and Thai literature). He then returned to Chiang Mai and collected specimens for the Smithsonian Institution (which ran the USNM), which later employed him permanently. Deignan's name is best remembered in Sri Lanka for the threatened species Lankascincus deignani, Deignan's tree skink, which is found in the Central Highlands of Sri Lanka from 600 to 2,300 m above sea level. This species, which is the only skink to be found above 2,300m, was originally named Sphenomorphus deignani by Kansas University's Edward H Taylor, based on a specimen collected by Deignan from Gannoruwa Mountain on November 12, 1944.